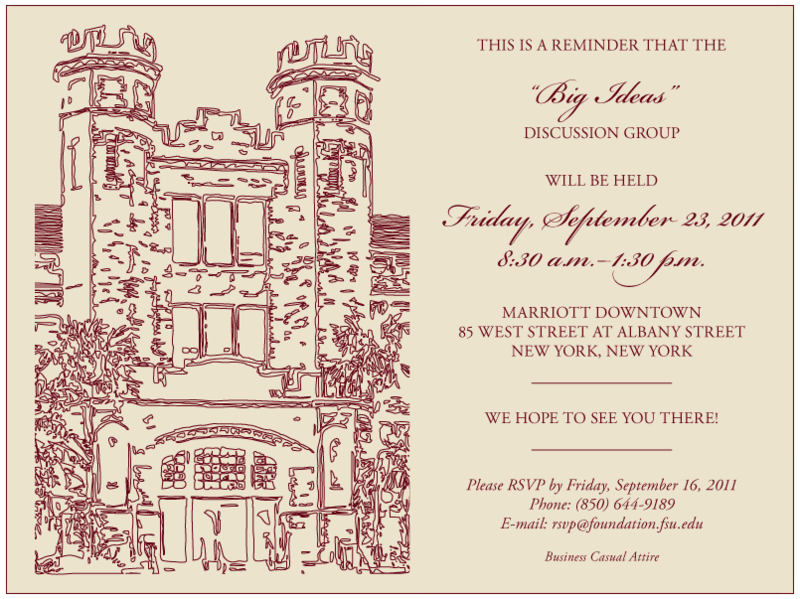 Yesterday, I had the pleasure of attending an FSU Big Ideas discussion group event in New York City. It’s an initiative where the University is dreaming up things that will set the course for the next 10 years or so, and they’re getting feedback from alums across the nation. The meat of the discussion portion was broken into to sections, with one idea being shared in each. The first idea is the one around which this post is centered: transforming FSU into a (truly) entrepreneurial school. There was a lively discussion taking place, and it was interesting to see the opinions and perspectives of individuals like one named Jon (who called himself a lifelong entrepreneur and completely unemployable), and those from the private sector. I love it, let’s do it. I’d need to see data. I’m oversimplifying, but you get the point. As I mentioned during the discussion, true entrepreneurship couldn’t be any further at odds with academic culture. I’m of the mind that the shift must take place regardless. Universities are becoming less relevant by the minute, and I’m thrilled to see discussions like this taking place. Much of it dovetails with the Free Minds Movement, my project with Pam, so it will be interesting to see how it all plays out.